The current public works garage is located at 1036 Lewiston Road in New Gloucester's upper villiage. There will be a special town meeting on Sept. 18 where voters will decide whether to move forward with a proposal for a new garage at 611 Lewiston Road. The action Tuesday night marked another step to prepare for the special town meeting where New Gloucester voters will decide if they want a new public works garage located at 611 Lewiston Road, which is also home to the fire station. Public Works Director Ted Shane said that the new facility is much needed. In two separate votes, the three Selectboard members voted unanimously in favor of the draft language that would set the cost of project at $4.6 million and bond length to be 25 years. Selectmen Stephen Hathorne and Steven Libby were both absent. Chairwoman Linda Chase noted that Libby was absent due to the recent death of his father. Hathorne had a work commitment. Chase said after the meeting that the articles would need to be officially set by the board at its next meeting on Monday, Aug. 21. 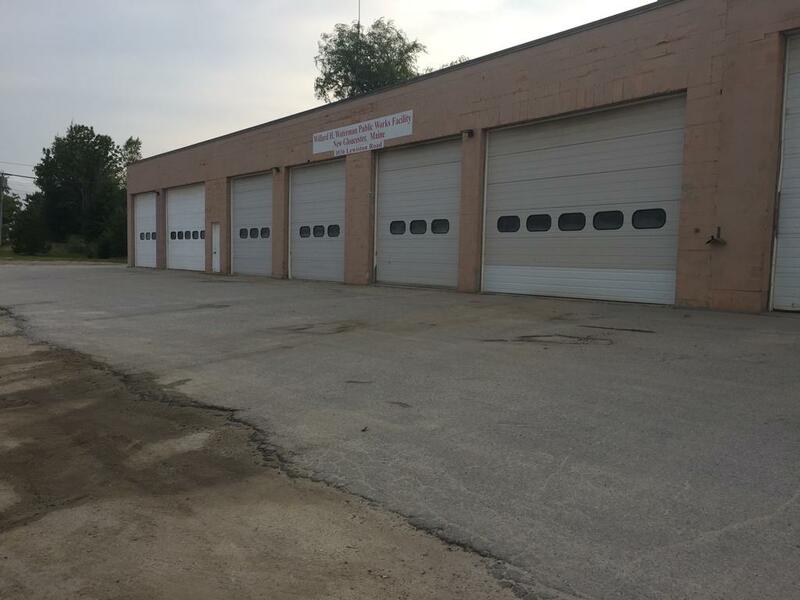 Town Manager Carrie Castonguay specified that under the warrant articles, the proposed new garage would be located at 611 Lewiston Road, and said that the address was being added to the articles after legal consultation from the town attorney and Maine Municipal Association. The board had several options to consider in terms of project cost and bond length. The plan formulated after years of work by the town’s public works garage design committee provided two options for the facility: a five-bay garage that would not fit all of the current public works vehicles and equipment, and a six-bay garage that would fit everything. The five-bay garage would cost $4.3 million while the six-bay would cost $4.6 million. Bond lengths of 20, 25 and 30 years were also considered. The $4.6 million cost with a 25-year bond would increase local taxes $34 per year for a home valued at 200,000 home, Chase said. While there appears to be little opposition to the new facility itself, there is not unanimity when it comes to which location people think is most appropriate. Selectman Joe Davis, who entered the motions Tuesday night to approve the cost and bond length language, expressed concern after the meeting about the location. Davis said he has concerns about the impact on traffic at the 611 Lewiston Road site, as well as contamination from the potential facility. Like his colleague Hathorne, Davis believes the best site for a new garage would be where the current public works garage stands today at 1036 Lewiston Road in the town’s upper village. “It would be nice, because that land is already contaminated,” Davis said about keeping the new facility where the old one is. Shane said he does think the 611 Lewiston Road site is the best location for the new garage, and noted that it scored the highest in an analysis of the top three sites identified by the public works garage design committee. The site analysis was done by engineering and planning firm Oak Point Associates of Biddeford. The current public works garage is located at 1036 Lewiston Road in New Gloucester’s upper villiage. There will be a special town meeting on Sept. 18 where voters will decide whether to move forward with a proposal for a new garage at 611 Lewiston Road. 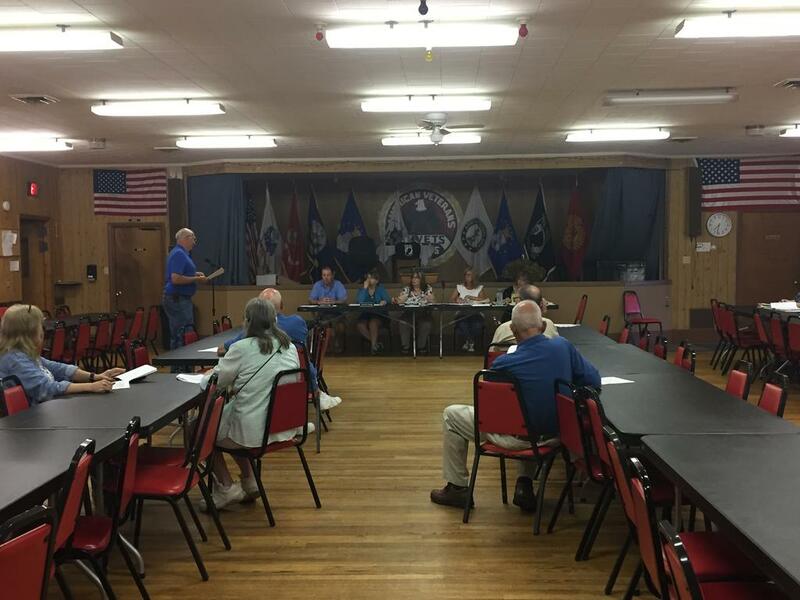 Prior to Tuesday night’s special selectboard meeting, the New Gloucester board held a public hearing on the potential use of TIF funding to offset some of the costs of a new public works garage.